For a country the size of Vermont, Costa Rica has a mind-boggling number of hotels. During our six months of traveling in the country we spent more than 130 nights in hotels, and we made it our mission to seek out and experience the best of the best hotels in Costa Rica. 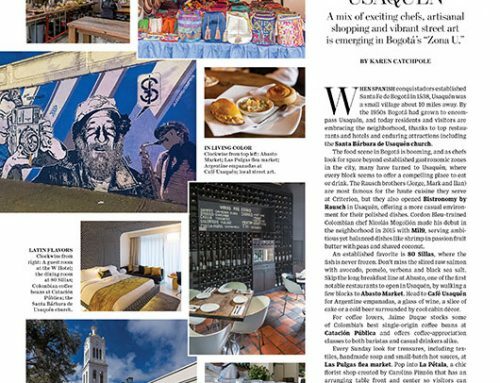 Here are our 22 favorites (plus one that got away) including a crazy big bargain in San José, the best new luxury boutique hotel in the country, eco hotel superstars on and off the beaten path, great choices on both coasts, sure-fire romance options, and family adventure finds. 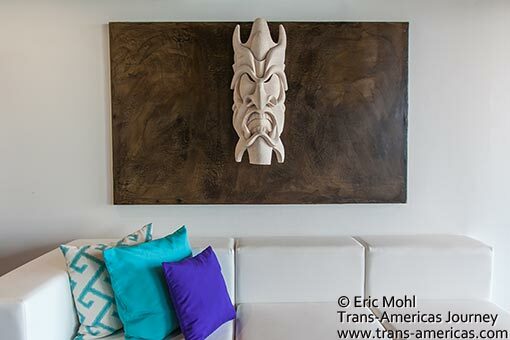 These traditional masks are usually colorfully painted. Kura’s owners have special unpainted versions made just for them – just one example of the attention to detail at Kura which is easily the best new hotel in Costa Rica. We stayed at Kura Design Villas, in the hills above Uvita, right after it opened. 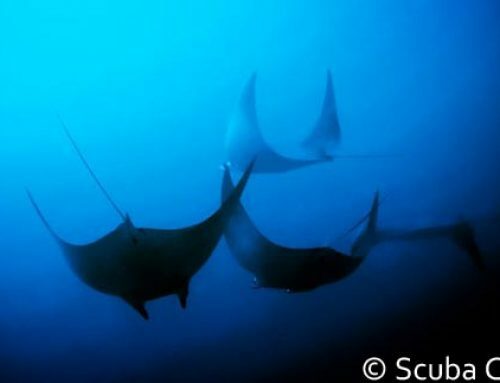 Karen still wishes she was hanging out in their stunning four-way infinity edge pool. This one really was a jaw dropper and one of the best new hotels we’ve seen in some time. It’s easily the best new hotel in Costa Rica. Early morning view of (now dormant) Arenal Volcano from the hill above Ranch Margot, one of the most impressively eco hotels in Costa Rica. 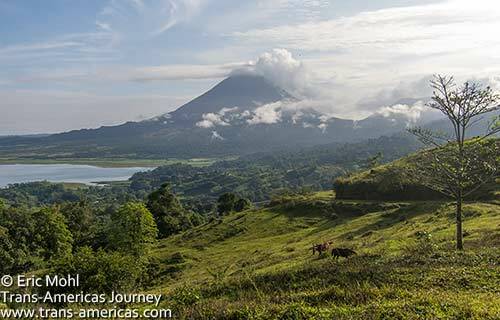 Arenal and La Fortuna were not our favorite destinations in Costa Rica. However, the region is home to Rancho Margot which is owned by a former fast food executive who has created a sustainable, carbon neutral hotel that is beautiful, comfortable, and a shining example to other aspiring eco operations. 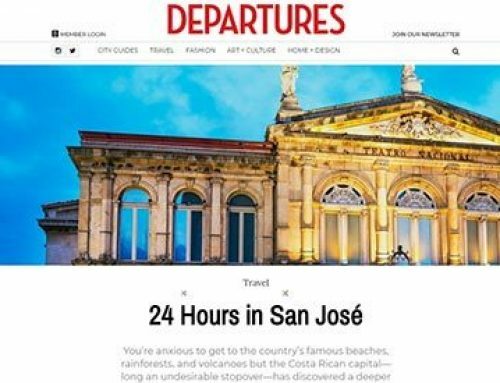 Though most visitors simply pass through Costa Rica’s capital on their way in and out of the country we thoroughly believe there are many reasons to spend a couple of days in San José. One of the is Hotel Aranjuez which offers a range of spotlessly clean rooms in three adjoining houses in a quiet neighborhood at extremely reasonable rates which include the best hotel breakfast buffet we’ve ever had in any price point. You will be amazed. 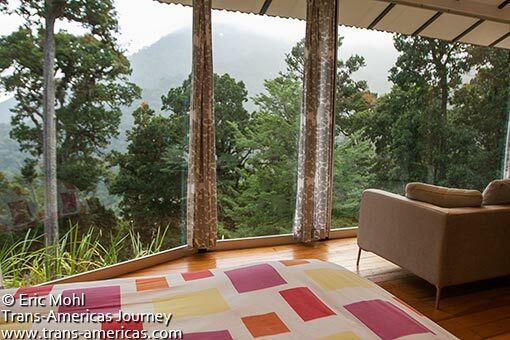 Floor-to-ceiling windows let the cloud forest in to your room at Dantica Cloud Forest Lodge & Gallery in Costa Rica. Not all cloud forests in Costa Rica are created equal. For example, we were seriously nonplussed by Monteverde Cloud Forest Reserve with its crowds and strip of tourist traps and crappy hotels and hostels. However, we loved the cloud forest around San Gerardo de Dota, home to resplendent quetzals, tapirs and Dantica Cloud Forest Lodge & Gallery where minimalist rooms hug the hillside in a private nature preserve. 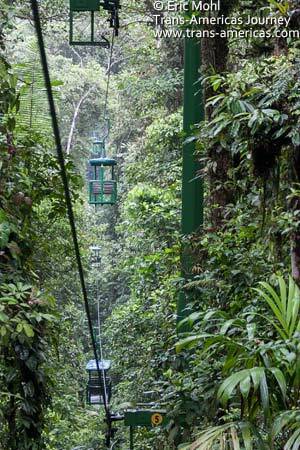 The aerial tram at Rainforest Adventures in Costa Rica. There are plenty of jungle adventure parks in Costa Rica where you can zip line and hike all day long but there’s only one that also offers you the chance to spend the night as well. That would be Rainforest Adventures. 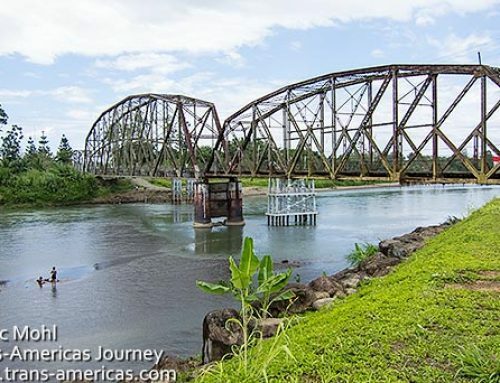 They have two locations (one near San José and one near Playa Jacó). We spent a night in one of the basic but comfortable eco and family-friendly jungle bungalows at the Rainforest Adventures Atlantic operation (one hour from San José). It was the perfect end to a day filled with the great guides, a trip on their patented aerial tram, a zip line on steroids called the AdrenaLine, a night hike filled with odd, odd creatures, and more. You even run the very wonderful risk of seeing tapirs right from your room. A sustainibly built and totally comfortable and stylish bungalows at Selva Bananito Eco Lodge & Preserve on the Caribbean Coast of Costa Rica. One of the very last hotels we stayed at in Costa Rica ended up being one of the most impressive. Selva Bananito Eco Lodge & Preserve scored points right from the start when the dedicated owner pointed out a hard to spot potoo bird camouflaged on a tree trunk mere steps away from the deck of our bungalow. 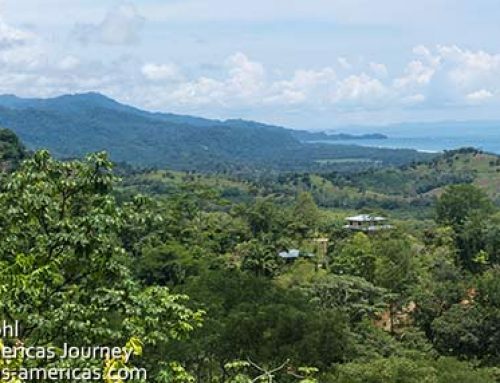 Toss in some of the most serious eco and sustainable practices in all of Costa Rica, the absolute best adventure horse back riding trip in Central America, and no internet connection and you’ve got a great stay. 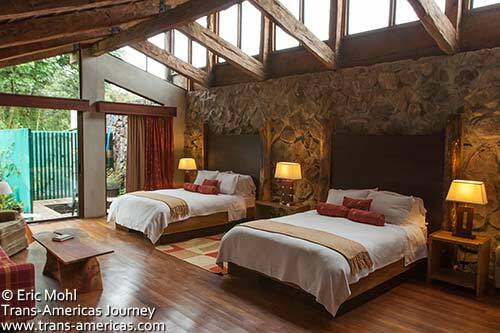 Stunning room #5 at Poas Volcano Lodge, our pick near Costa Rica’s most visited national park. Poas Volcano National Park is Costa Rica’s most visited national park and there’s no shortage of hotels in the area. But for chic design, flawless personal hospitality, and gourmet food you can’t beat Poas Volcano Lodge. Did we mention that you can see the volcano from some of the rooms? Organic coffee and a whimsical take on eco hotel style combine to put Finca Rosa Blanca Coffee Plantation & Inn on our list of best hotels in Costa Rica. Running an eco hotel is hard. Doing it along with an organic coffee plantation and pulling them both off with panache is close to impossible. 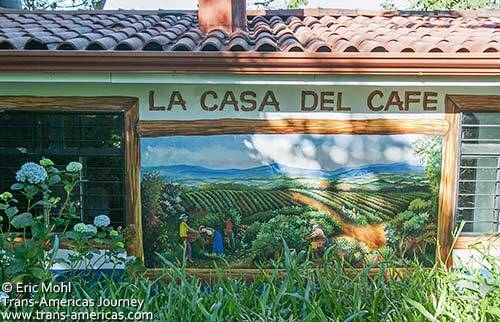 Finca Rosa Blanca Coffee Plantation Resort manages just fine, thank you very much. The hotel is whimsical and surprisingly green and the organic coffee is uber certified and delicious. It’s the best place we found to get your Costa Rica eco fix and your Costa Rica coffee fix all in one place. 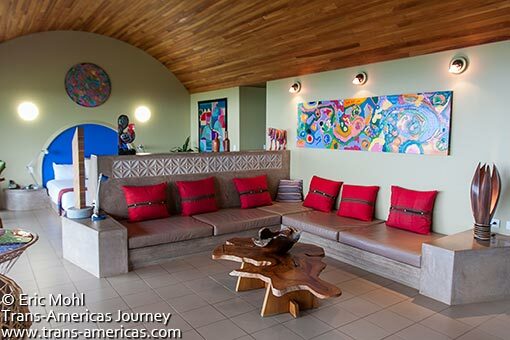 Space, views and art everywhere at Xandari Resort & Spa in Costa Rica. 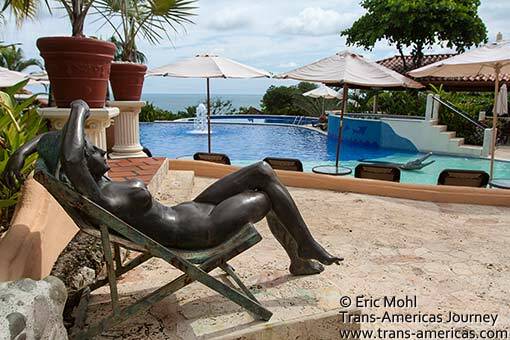 It’s best to think of Xandari Resort & Spa, in the foothills above San José, as one enormous gallery for the creative out put of the owners, architect Sherrill Broudy and his artist wife Charlene. If tan is your favorite color this place might not be for you. One of three pools at Parador Resort & Spa, a romantic retreat near Manuel Antonio National Park in Costa Rica. 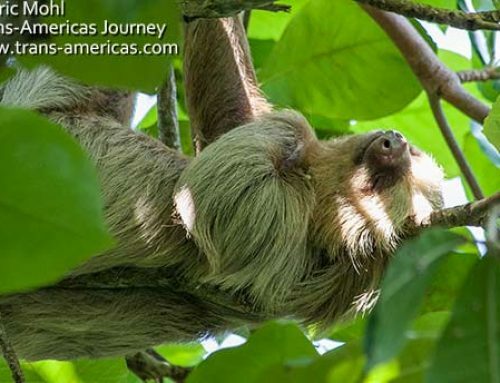 Odds are Manuel Antonio National Park is on your Costa Rican itinerary. 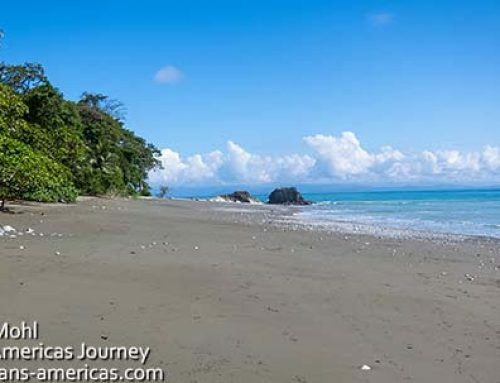 After all, it’s fairly easy to reach, wildlife sighting are virtually guaranteed, and it’s home to one of the most gorgeous beaches in Costa Rica. There are also two very romantic but very different hotels nearby. Choose Hotel Makanda by the Sea for suites with kitchens in extremely private jungle settings. Choose Parador Resort & Spa if full service pampering and the best bed with a view is your idea of romance. 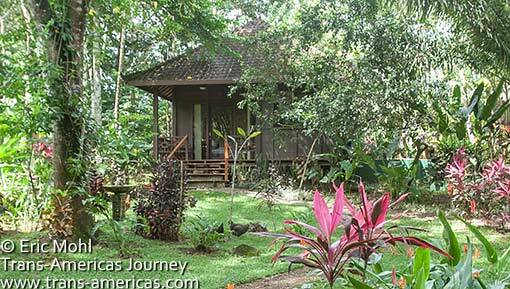 This casita at Bali Rica was brought over from Bali in pieces and constructed on site in Costa Rica. 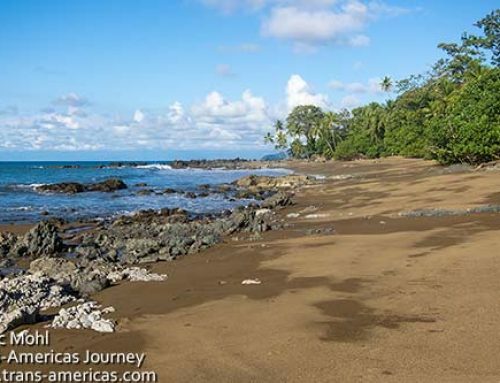 There’s a triple whammy going on at Bali Rica Casitas on the Costa Ballena along the Pacific Coast of Costa Rica. 1. the flawlessly hospitable and knowledgeable owners. 2. its location in the laid back foodie town of Ojochal. 3. one of the fully equipped casitas was shipped over in pieces from Bali and re-built on site. Really. 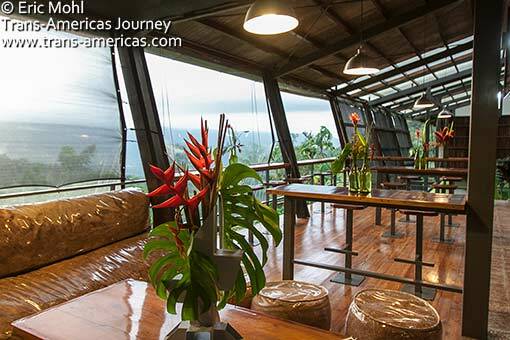 The stylishly green dining room and lounge of Celeste Mountain Lodge near Tenorio Volcano National Park – both are worth a visit in Costa Rica. When we decided to visit Tenorio Volcano National Park in Costa Rica we were rewarded two times. The park delivered the most beautiful river we saw in Costa Rica and near the entrance we found what turned out to be one of our favorite Costa Rican eco hotels. Don’t let the chic, modern facade fool you. Celeste Mountain Lodge is all green at heart. The Peace Lodge at La Paz Waterfall Gardens Nature Park is pricey and a bit over the top but there’s nowhere else in Costa Rica where your room comes with exclusive after-hours access to jaguars, monkeys and more. 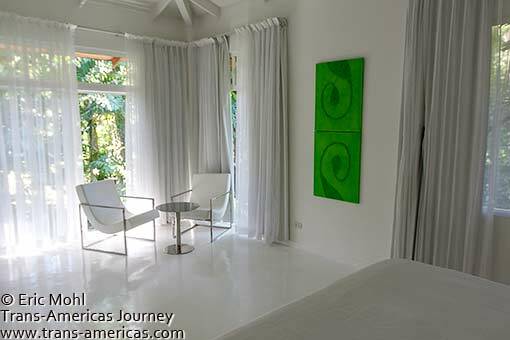 Yep, even the floors are white at Le Cameleon Boutique Hotel on Costa Rica’s Caribbean Coast. We preferred the beaches on the Caribbean side of Costa Rica over the beaches on the Pacific side. Part of the reason was the sheer range of hotel options on the Caribbean side, from the stark chic of the splurgy Le Cameleon Boutique Hotel, to the affordable Caribbean cottage vibe of Aguas Claras Bungalows to the stylishly organic Shawandha Lodge. 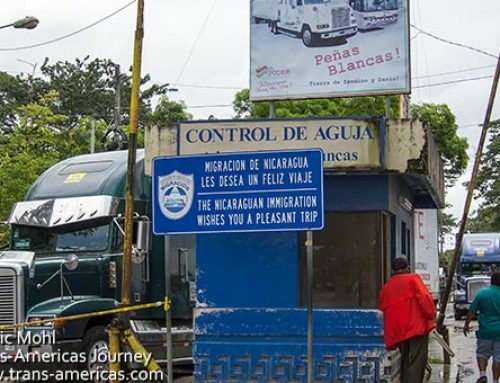 The town of Cahuita, gateway to Cahuita National Park and a fine place to chill on the Caribbean Coast, is littered with budget guesthouses. 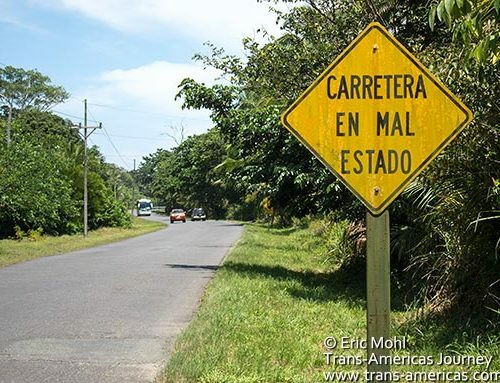 During multiple visits to Cahuita we stayed in a number of them. 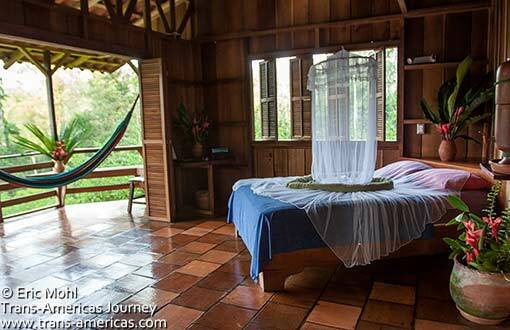 For our hard-earned travel money, the best of the lot is Cabinas Palmer with super clean rooms, each with a small porch and hammock, free coffee and bananas all day, friendly owners, good Wi-Fi, and free parking all for less than US$20. If you’ve got more in the budget check out French-Canadian owned Playa Negra Guesthouse a bit out of town. 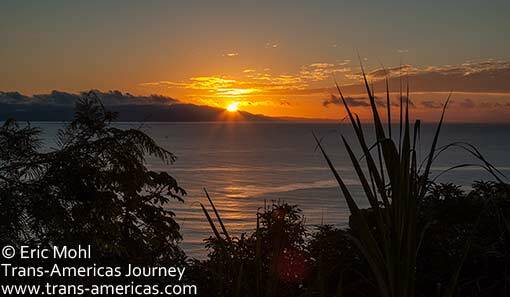 Sunrise over Costa Rica’s Osa Peninsula, home to two hotels that made this list. We explored the Osa Peninsula from the Puerto Jimenez side and from the Drake Bay side and managed to land in the best hotels both times. Lapa Rios Eco Lodge, on the Puerto Jimenez side, has been fine-tuning its eco approach for more than 20 years and they’ve got it down to a luxurious science. On the Drake Bay side the Aguila de Osa Inn is a stunning haven with an even more stunning driveway (hint, it involves a boat). 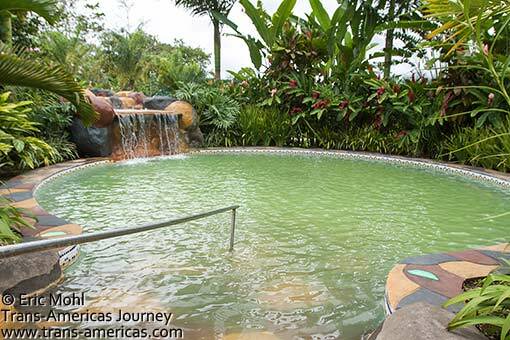 Forget the crowded, expensive hot springs in La Fortuna and Arenal and head to the soaking pools and remarkable value at the family friendly Blue River Resort & Hot Springs near Rincon de la Vieja National Park in Costa Rica. We loved our stay at Blue River Resort & Hot Springs, near Rincon de la Vieja National Park, because of the uncrowded on-site natural hot springs and their awesome extreme tubing trip. 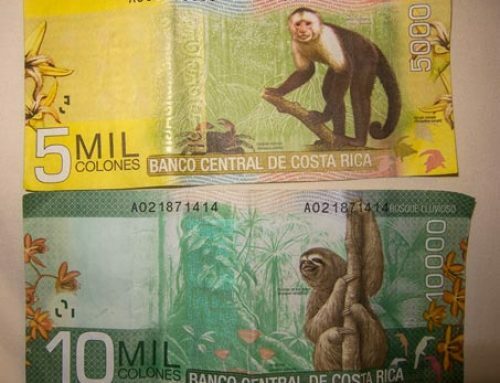 But as we were leaving it occurred to us that this Costa Rica resort is also great value for families. 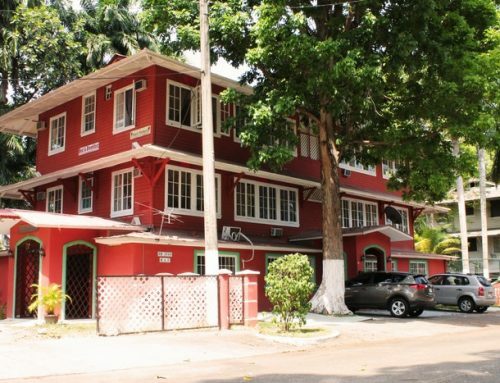 There’s plenty to do, each room has tons of space, and rates start at US$127 per night for up to five people including full ala carte breakfast. Every hotel owner we talked to in Costa Rica raved about a hotel called Monte Azul located on its own nature preserve in the shadow of Mount Chiripo, the tallest mountain in Costa Rica. Part luxury boutique hotel, part art commune, part wellness center, part bespoke tour agency, and part artesenal farm and gourmet restaurant it sounded like paradise. However, despite our best efforts, we never got there. If you’ve stayed at Monte Azul make us jealous in the comments section below. Visit our Hotel & Restaurant Reviews page to see all of our freelance hotel reviews from around the Americas. There truly is something for everyone. Thanks for this post, great variety! If you need a reason to return to Costa Rica, missing Monte Azul would be a justifiable reason. You did miss some “parts” in your description above of all the things that Monte Azul does. Community service is an admirable “part” of what they do as well as green and sustainable. Carlos and Randy epitomize forward thinking and innovation. These qualities extend to the staff it seems through osmosis, as well as the commitment to quality and attention to detail. The casitas a well appointed and designed to unify the inside to outside and continue from the private landscaped yards to the rainforest beyond. The detail and consideration is exemplified by the soaps made on site the mirror the gentle fragrance of the surrounding rainforest. The meals at Cafe Blue fuse traditional fare while accentuating clean, healthy, simplicity that blossoms on the palette in complexity. The goat cheese plate that was presented after I settled in to my room was exceptional. I thought I would be partial to the coffee encrusted cheese, but it was the lemon scented that still make my mouth water in memory. These are also produced on site. And of course, the delicious desserts, breads, and coffee. The staff has the ability to balance friendship and professionalism, which is a huge contribution to the atmosphere of gathering with family and friends. I went to Monte Azul at the start of the rainy season and had the good fortune to see the beautiful blooms complimented by the truly exceptional artwork placed throughout the casitas and the grounds. There is so much more to say, but it is difficult to convey all that Monte Azul is in words. I will return to participate in the Artist and residency program. I made many new friends, both guest and staff that I remain in contact with and look forward to many visit to this fresh, innovative place the eludes full description. I can only hope that places like Monte Azul are the wave of the future. Much Gratitude to Carlos and Randy! Maybe I will meet you there one day? Costa Rica is full of great places. It offers something for the entire family and range of trips. Costa Rica is the Pura Vida Country! 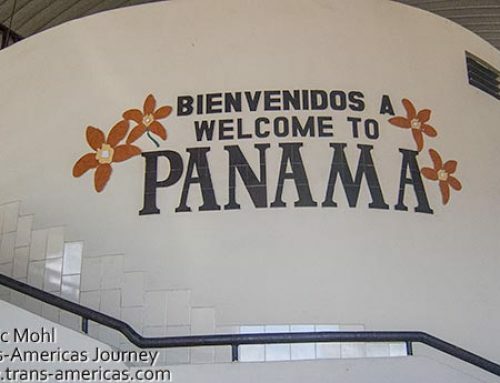 Excellent post and for the most part very accurate however I would have to add a few in the mix including Villa Blanca Cloud Forest Hotel and of course the famous Aguila de Osa eco-retreat located along the border of the Corcovado National Park. Indeed, there are many excellent hotels throughout Costa Rica. We have stayed in a number of these that didn’t make our list. In this list we came up with what we consider THE BEST in various categories. In fact we stayed at Villa Blanca Cloud Forest Hotel, loved it and wrote a full review of it here https://trans-americas.com/work/H095_VillaBlanca.html. We also loved Aguila de Osa which we wrote about in our Corcovado post – https://trans-americas.com/2013/09/corcovado-national-park-drake-bay-costa-rica. These and others that we have written about (e.g. El Silencio – https://trans-americas.com/work/H090_ElSilencio.html) are all great hotels, they just didn’t make our list of the best in the specific categories we chose in this post. We LOVED Kura Design Villas! It’s in our top 3 hotels of all time. It’s incredibly luxurious and sustainable. With one owner as the chief architect and the other as a biologist, you can clearly see their where there passions meet. Wow. This post must have taken hours to make. And you spent six months in Costa Rica. You are generous with your time. And thanks so much for sharing your experiences. Just wonderful.